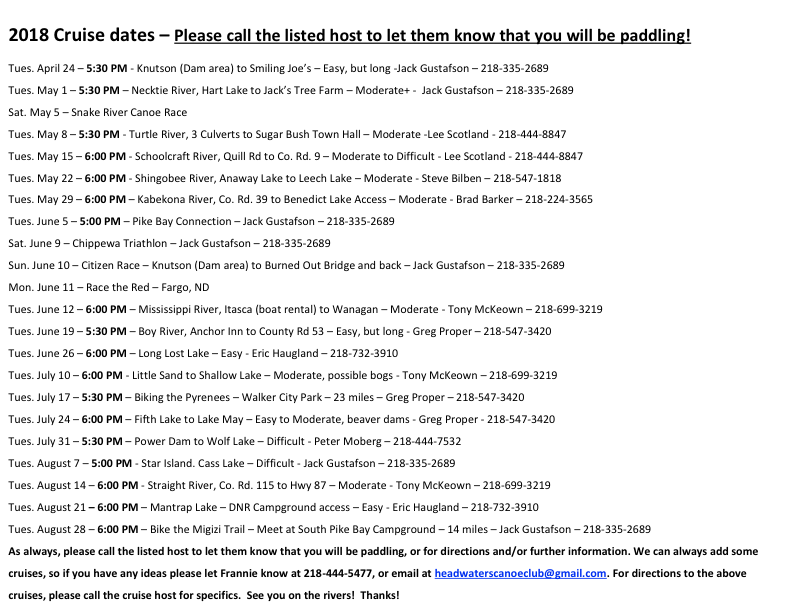 The Headwaters Canoe Club met Saturday night at a tree farm by Laporte to set-up the 2018 cruise schedule in Hubbard, Beltrami, Cass and Clearwater Counties. The floats are held Tuesday nights starting April 24. Open to all – canoes and/or kayaks. The average on each float is around 6 canoes. If interested let the person listed know you would like to go. Shuttles are offered after the float, often a guy with a canoe trailer provides shuttles.